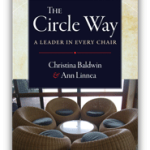 The Circle Way: A Leader in Every Chair – by Christina Baldwin & Ann Linnea – Oh how I love this book! When I had the pleasure of meeting Christina at a workshop a few years ago, I told her that her books had served as candles in the dark places in my leadership journey. This is her most recent offering, together with her partner Ann. This is a transformative way of looking at leadership, where we come together in circles to collaborate, innovate, and offer wisdom and guidance. This book has had a profound impact on the way I teach, facilitate, and host conversations of many kinds. 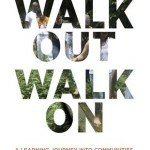 Walk Out Walk On: A Learning Journey into Communities Daring to Live the Future Now – by Margaret Wheatley & Deborah Frieze – This book was exactly what I needed when it showed up. 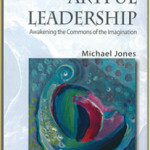 It’s a learning journey disguised as a book, in which the reader is invited to visit several different communities all over the world where people have decided to “walk out” of broken systems and “walk on” to more sustainable, collaborative, people-centred, environmentally friendly and justice-oriented ways of living. The book had a profound effect on me, and I’m pleased to say that since reading it, I have been in a 4 day workshop with Deborah Frieze on the content of the book. 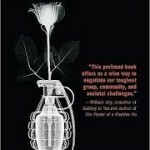 Power and Love: A Theory and Practice of Social Change – by Adam Kahane – After having the privilege of hearing Adam present his ideas at ALIA in 2010, I was intrigued enough to buy his book. It is fascinating and paradigm shifting. He says he used to think that love should replace power as the predominant paradigm for social change, but after years of facilitating change initiatives all over the world, he realized that only when power and love are in balance can real change take place. 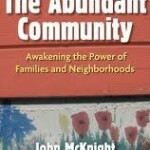 This is a significant book for anyone who wants to impact positive, sustainable social change. 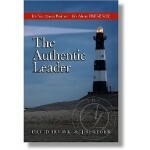 The Authentic Leader: It’s About Presence, Not Position – by David Irvine – I was in a challenging place in my leadership role when a friend recommended this book to me. It was just what I needed. It changed the way I lead my team in a really significant way. Instead of trying too hard to appear competent and knowledgeable, I met with my team and laid my cards on the table. I told them what I was struggling with, admitted that I wasn’t sure I was the right person to lead them, and asked them to help me find a way out of the dysfunction we’d entered into. It had a transformative affect on me and my team. It also helped me to further explore my own authenticity in how I was living my life. 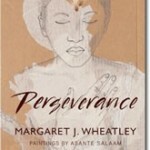 Perseverance – by Margaret Wheatley – I have long been a fan of Meg Wheatley, and in June 2010, I had the pleasure of attending a five day workshop she facilitated. Meg’s words have offered me hope many times when I’ve become discouraged about the accepted models of leadership that seem impossible to change. This book touches on exactly that kind of discouragement, and how we can continue to persevere when we believe there is a better way. 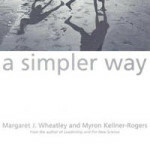 A Simpler Way – by Margaret Wheatley and Myron Kellner-Rogers – If you believe, as I do, that many of the organizational structures and leadership models we’ve become so accustomed to are out of date and not serving us well any more, then this is the book for you. 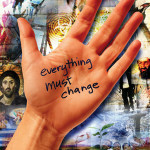 It explores a different way of thinking about life and about how organizing might occur. 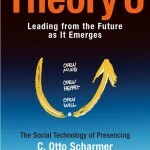 Theory U: Leading from the Future as it Emerges– by C. Otto Scharmer – I was first exposed to Theory U a few years ago when I saw Otto Scharmer do a presentation about it at ALIA. I was intrigued and determined to learn more. Since then, I’ve gone through an intense “change lab” training on it, and have read this and other books on the subject. I’ve also incorporated it into a lot of my teaching.  Theory U helps to bring a measure of simplicity into complex change processes. 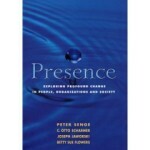 Presence: Human Purpose and the Field of the Future – by Peter Senge, Otto Scharmer, Joseph Jaworski, and Betty Sue Flowers – This is a lovely companion book to Theory U. It’s a conversation between 4 brilliant people who are fascinated by transformational change. 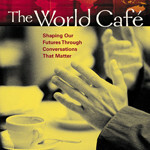 The World Cafe: Shaping our Futures Through Conversations that Matter – by Juanita Brown and David Isaacs – World Cafe is one of the practices in the Art of Hosting. It’s a simple and profound way of hosting intimate conversations in big groups. 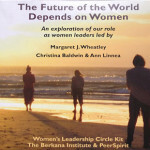 The Future Depends on Women: Women’s Leadership Circle Kit – by Ann Linnea, Christina Baldwin, and Margaret Wheatley – These three teachers have taught me an immense amount about participatory leadership and I now use a lot of their resources and books in my own teaching. This is an incredibly useful kit full of videos, articles, and pdf resources on how to engage and inspire women in leadership. I’ve used in repeatedly and almost every time I’ve used it, at least one person in the workshop ends up ordering a copy to use for themselves. 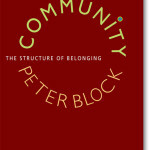 Community: The Structure of Belonging – by Peter Block – I have learned a great deal from Peter Block, both from his books and from the opportunities I’ve had to hear him speak and be in conversation with him. He has a deep understanding of what it means to be in community and how that can transform our world. 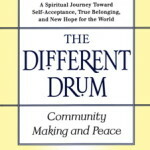 The Different Drum: Community Making and Peace – by M. Scott Peck – This book helped to shape my views on community and I use it in a lot of my teaching on community-building. 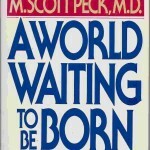 A World Waiting to be Born: Civility Rediscovered – by M. Scott Peck – There is a deepening awareness that something is seriously wrong with our personal and organizational lives. Using examples from his own life, case histories, and dramatic scenarios of businesses that made a conscious decision to bring civility to their organizations, Dr. Peck demonstrates how change can be effected and how we and our organizations can be restored to health. 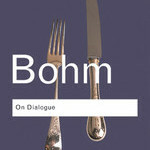 On Dialogue – by David Bohm – How deep listening and more open communication can help us cope with the complex problems facing our organizations, businesses and societies. The Millionth Circle: How to Change Ourselves and the World – The Essential Guide to Women’s Circles – by Jean Shinoda Bolen – I am deeply committed to being a catalyst for women’s circles around the world and, together with Bolen, I believe that they can change the world. So Far from Home: Lost and Found in our Brave New World, by Margaret Wheatley – Four and a half years ago, I traveled across the country to spend a week in a workshop with Margaret Wheatley because her work had been so influential in my leadership journey. While in that workshop, she shared how she’d been wrestling with despair and wondered whether we could really turn the world around when we seem to be on a crash course toward self-destruction. In this book, she unpacks that despair and considers what it means to give up hope and simply keep showing up in the world and doing what’s right because we believe in it and because we can at least impact our small part of the world. Once again, her work has shifted something for me. Little Book of Practice – by Susan Szpakowski (free pdf) – This book is made up of some of the wisdom of what’s taught about mindfulness at ALIA Summer Institute, a place that has transformed me in the three years I was lucky enough to attend. 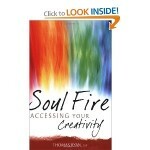 Soul Fire: Accessing Your Creativity – by Thomas Ryan – This is one of those books that arrived just at the right time for me. I was becoming restless in my career (even though I loved it) and that restlessness was turning into a burning desire to dig deeper into my creative energy and forge a new path. When I read this quote, I knew I’d found just the right book: “At the midstage of life, the impatience of our inner reserve begins to make itself felt in various ways: the sense that we have brought to our present work all that we can and it is time for a new challenge; a vague but pervasive feeling of discontent with the configuration of activities and relationships in our life; a growing desire to step out and allow a recurring fantasy to become a reality.” This book would benefit anyone who’s exploring their creativity and giftedness, but is especially poignant for those of us in the “over 40” club. The Gift: Creativity and the Artist in the Modern World – by Lewis Hyde – This book had a big impact on me when I first read it, and it continues to impact my thinking and my business. Hyde explores the many ways that gift-giving has a positive transformative affect on a society and the people in that society. There’s a very good chance it will open up your thinking and shift the way you offer up your gifts. 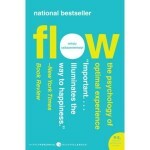 Flow: The Psychology of Ultimate Experience – by Mihaly Csikszentmihalyi – When we find ourselves in deep enjoyment, creativity, and a total involvement with life, we are in “flow”. 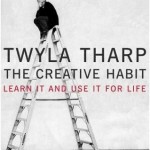 The Creative Habit: Learn It and Use It for Life – by Twyla Tharp – Twyla is a wise teacher in the ways of creativity. This is less about how to earn a visit from the creative muse and more about the hard work it takes to get the creative muse to stick around for the duration. 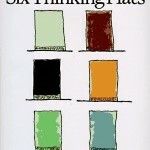 Six Thinking Hats – by Edward de Bono – This is a great book for exploring the ways different people think (represented by different colour hats. I’ve used this in teambuilding workshops where we’ve practiced trying on each other’s hats to learn more about what it feels like to think differently than we normally do. It’s a useful tool when you need to brainstorm, or you need a breakthrough when you’re stuck. 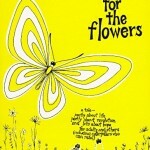 Hope for the Flowers – by Trina Paulus – This is one of my all-time favourite books. It’s a simple little picture book that I have read through many times since I received it as a grad present from one of my favourite teachers. It’s the story of two caterpillars looking to make their way in the world. One caterpillar discovers the beauty of surrender, and she soon learns that without the ugly, scary chrysalis stage, you can’t reach the sky. I’ve read it to my kids, and I’ve read it to grown-ups – everyone is touched by it. It has a treasured place on my bookshelf. 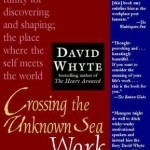 Crossing the Unknown Sea: Work as a Pilgrimage of Identity – by David Whyte – I absolutely loved this book. It’s another one of those books that arrived just at the right time – when I was contemplating my way forward in my career. I underlined this quote, because it so clearly described where I was at at the time: “Some have felt eager and engaged by their work for years and then walked into their office one fine morning to find their enthusiasm gone, their energies spent, their imaginations engaged in secret ways, elsewhere.” This is a great book to read if you want more clarity in your personal calling and giftedness and want to ensure you’re not just showing up at work for the pay cheque at the end of the week. 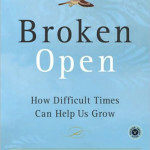 Broken Open: How Difficult Times can Help us Grow – by Elizabeth Lesser – A beautiful book about the meaning and beauty we can find in the grief and difficult times in our lives. 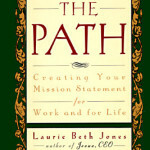 The Path: Creating Your Mission Statement for Work and for Life – by Laurie Beth Jones – This book helped me explore my personal vision and mission statement, and was a big part of the journey that led to this website, to my career, and to the workshops and public speaking I do. It’s a simple little workbook that asks all the right questions and helps you gain greater clarity and understanding about what you have to offer the world. 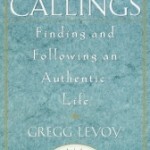 Callings: Finding and Following an Authentic Life – by Gregg Levoy – This is another one of those books that I just couldn’t read without a pen in my hand. Reading it helps you get to the heart of the longing deep inside you that calls you to what you are meant to be doing. It will teach you things about yourself you didn’t know were true. 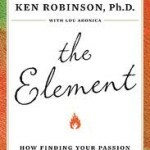 The Element: How Finding Your Passion Changes Everything – by Ken Robinson – This quote from the back of the book encapsulates this book well… “There is a powerful driving force inside every human being that, once unleashed, can make any vision, any dream, a reality. The Element captures that force with passion and insight.” This book will inspire you to dig a little deeper into the place in your heart where your passions and interests drive you to live by your authentic calling. 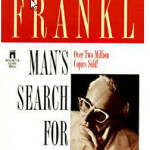 Man’s Search for Meaning – by Viktor E. Frankl – This book was recommended to me by my friend Sam before I traveled to Ethiopia where he lives. He told me it would help me make sense of some of the hard things I would see when I was there (poverty, conflict, illness, injustice), and he was right. 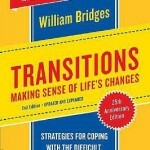 Transitions; Making Sense of Life’s Changes – by William Bridges – When I was about to quit my long-time career and launch into self-employment, a few people recommended this book, and I remembered I’d bought it years ago at a garage sale and had never read it. At their recommendation, I finally read it, and it was exactly the right thing to read when facing one of the most significant transitions of my life. 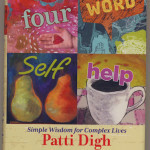 Four-Word Self-Help: Simple Wisdom for Complex Lives – by Patti Digh – This is a simple and beautiful little book that reminds us that we don’t need expensive self-help programs to transform us into something we’re not – we simply need trust in our own wisdom. It’s the perfect book to keep by your bedside when you need a little bit of comfort and understanding at the end of the day. 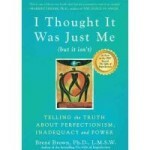 I Thought It Was Just Me (but it isn’t): Telling the Truth About Perfectionism, Inadequacy, and Power – by Brene Brown – When I first picked up this book, I thought “it’s not really that applicable – I don’t deal with a lot of shame”. But I picked it up anyway because it intrigued me. Boy was I wrong! Brown’s exploration of how shame keeps us from fully experiencing life and all its goodness is powerful, personal, and life-changing. Her suggestions for shame resilience will help you address things you didn’t even have names for. 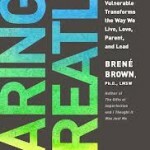 Daring Greatly: How the Courage to be Vulnerable Transforms the way we Live, Love, Parent, and Lead – by Brene Brown – I love this book. Not only did it inspire and challenge me, but it also affirmed what I’m committed to in my leadership work and in my life – that bringing your vulnerability to your work doesn’t make you weaker, it makes you stronger. The more we are willing to be vulnerable and authentic, the more we can impact positive change. 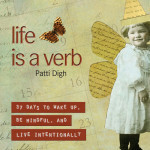 Life Is a Verb: 37 Days to Wake Up, Be Mindful, and Live Intentionally – by Patti Digh – This book feels like a conversation with a trusted friend. Patti Digh is a master at living life with her heart and eyes wide open. 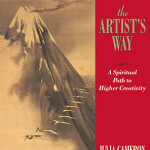 Her wisdom, compassion, and generosity shine through the pages of this book. She’s also one of my favourite people to follow on Twitter. 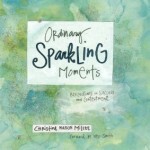 Ordinary Sparkling Moments: Reflections on Success and Contentment – by Christine Mason Miller – There’s an interesting story about how I got my hands on this book here. I read most of it on the plane on the way home and it felt less like reading and more like savouring a tasty treat. Through the pages of her beautiful book, I felt like Christine had become a trusted friend on my journey. There are way too many times in my life when I feel like I’m rushing through the “trivial” things – washing the dishes, getting through the mountain of laundry a family of five creates, rushing to the store to get groceries in order to throw some food on the table so the family can eat before the evening’s activities – all for the purpose of getting to the “important” things. 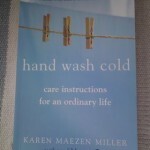 In her beautiful, gentle book, Karen Maezen Miller reminds us that the trivial things ARE the important things. By sharing her personal story of “stepping away from the rat race” she encourages us to be mindful of everything we do, including the laundry. 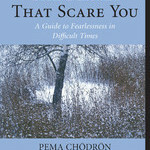 The Places that Scare You: A Guide to Fearlessness in Difficult Times – by Pema Chodron – We always have a choice, Pema Chödrön teaches: We can let the circumstances of our lives harden us and make us increasingly resentful and afraid, or we can let them soften us and make us kinder. 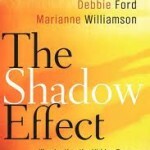 The Shadow Effect – by Deepak Chopra, Debbie Ford, and Marianne Williamson – This book is really important to me as it helped me to understand the way I have let my shadow limit me. By embracing my shadow, I can step more fully into the light. 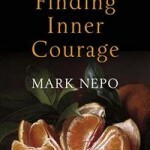 Finding Inner Courage – by Mark Nepo – As always, Mark Nepo is poetic and profound in just the right doses. When Things Fall Apart: Heart Advice for Difficult Times – by Pema Chodron – A collection of talks she gave between 1987 and 1994, the book is a treasury of wisdom for going on living when we are overcome by pain and difficulties. A Grief Observed – by C.S. 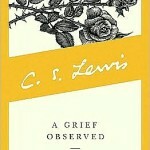 Lewis – In sharing a deeply personal account of his own grief, C.S. Lewis teaches profoundly important things about our journeys through grief. 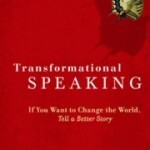 Transformational Speaking – by Gail Larsen – A really important book about finding our “original medicine” and learning to speak about it with courage, authenticity, and conviction. 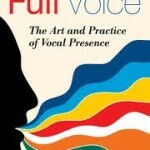 Full Voice: The Art and Practice of Vocal Presence – by Barbara McAfee – Finding your voice, strengthening it, and learning to use it more effectively. 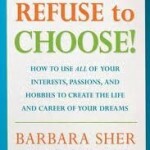 It’s a great book and it’s even better if you get a chance to learn from Barbara McAfee in person. 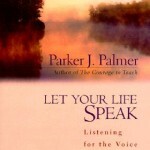 Let Your Life Speak: Listening for the Voice of Vocation – by Parker Palmer – Beautiful teachings on finding our own wisdom and letting that be our gift to the world. 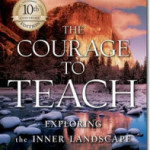 The Courage to Teach: Exploring the Inner Landscape of a Teacher’s Life – by Parker Palmer – This book was hugely instrumental in helping me to grow my courage enough to step into a teaching role. Body of Work: Finding the Thread that Ties Your Story Together, by Pam Slim – I love the concept of this book – that everything you’ve done can fit into the big picture of what your body of work is. It’s really helpful, whether you’re at the beginning of your career or just trying to find clarity for how it all fits together. The Geography of Loss: Embrace What Is, Honor What Was, Love What Will Be, by Patti Digh – I’m a big fan of whatever Patti Digh puts out into the world, and this is my favourite so far. It’s a rich, raw, authentic and brave look at loss and grief and the seedlings of hope that poke their heads out when you least expect them. 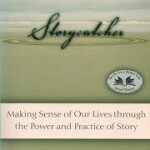 Storycatcher: Making Sense of Our Lives through the Power and Practice of Story – by Christina Baldwin – Christina’s deep belief in the power of story shines through in this book. Story moves us to love and hate and can motivate us to change the whole course of our lives. One of the most moving experiences in my life was a recent opportunity to learn from Christina in a recent story/circle workshop. She taught us how to sit in circle and create sacred space to share and learn from our stories. I am eternally grateful for the way that she shares her wisdom in this book. 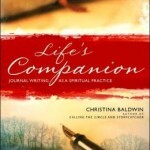 Life’s Companion: Journal Writing as a Spiritual Quest – by Christina Baldwin – Another powerful book by Christina – this time about how journal writing can be a transformative spiritual practice. Writing Begins with the Breath: Embodying Your Authentic Voice – by Laraine Herring – This is one of the most impactful books I have ever read about writing. It takes writing to a deeper place than most books – one that connects with your body and your soul. Read it, take it to heart, and let it change you. 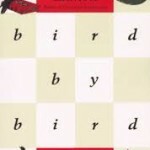 Bird by Bird: Some Instructions on Writing and Life – by Anne Lamott – I love Anne Lamott and her thoughts on writing are unique, inspiring, authentic, and thought-provoking. In fact, when I think of an authentic writer, Anne Lamott is the first person that springs to mind. 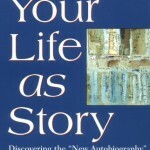 Your Life as Story – by Tristine Rainer – A great book about writing personal essays and memoir. 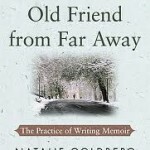 Old Friend from Far Away: The Practice of Writing Memoir – by Natalie Goldberg – Years ago, my roommate Diana had a book she kept in the bathroom called “Writing Down the Bones”. I’d read it once in awhile, but never got around to trying the great writing exercises in it. Recently I picked up this newer book by Natalie Goldberg and I fell in love in a bookstore in Toronto where I scribbled the first exercise in my journal. It’s full of practical writing exercises to get your creative juices flowing. The Story Factor: Secrets of Influence from the Art of Storytelling – by Annette Simmons – We all use stories to influence others, but we often don’t realize it. 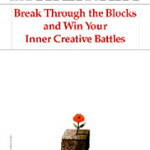 In this book, Simmons teaches us how to be intentional about using stories to influence. I refer to this book a lot when I teach communication classes. 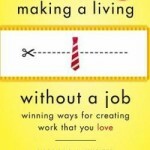 Making a Living Without a Job: Winning Ways for Creating Work you Love – by Barbara Winter – I read this book while I was in transition away from a full time job into self-employment and it was perfect for me at the time. It is supportive and gentle, while also being challenging and nudging. I’m pleased to say that since I read it, Barbara Winter has become a friend. 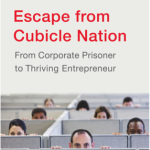 Escape from Cubicle Nation: From Corporate Prisoner to Thriving Entrepreneur – by Pam Slim – This is another book I read and learned from in the transition from employment to self-employment. Pam has a warm and supportive way of exploring both the emotional issues of leaving the corporate world and the nuts and bolts of launching a business. 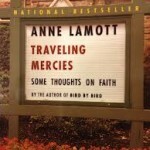 Traveling Mercies: Some Thoughts on Faith – by Anne Lamott – This is one of my favourite books of all time. Anne Lamott has such a unique, authentic way of telling her story that you can’t help but be intrigued and drawn to her. 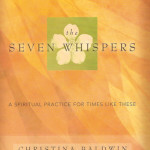 The Seven Whispers: A Spiritual Practice for Times Like These – by Christina Baldwin – This is a simple little book that will help you find the spiritual practices that will sustain, encourage, and energize you. Christina is one of my favourite people on the planet and her wisdom and spiritual guidance holds great value in my life. 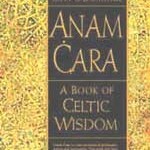 Anam Cara: A Book of Celtic Wisdom – by John O’Donohue – There is so much beauty in this book. O’Donohue speaks of a deep and mindful spirituality that resonates so clearly with my own experience. He speaks of the spirituality in friendship, silence, nature, etc., and he does so with reverence and poetry. 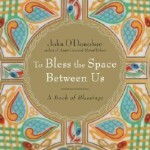 To Bless the Space Between Us: A Book of Blessings – by John O’Donohue – There are a few O’Donohue books on this list for a good reason – he is a beautiful, profound, and poetic writer and I love his words and his view on the world. This is a book of blessings that I often pull off my shelf when I’m looking for just the right words to offer someone stepping into a new career, going through a hard time, in need of courage, etc. I often read his blessings to my students when I teach classes, and every time I do I see the profound impact the words have on people. This is definitely worth having on your shelf. 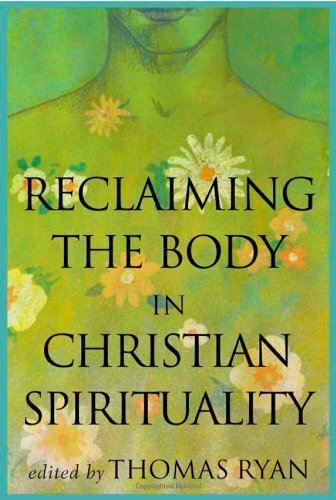 Reclaiming the Body in Christian Spirituality – by Thomas Ryan – If, like me, you were raised in a Christian environment, you will know that Christianity has a love/hate relationship with the human body. This book will liberate some of those old paradigms and set you on a path toward recovering a conviction of the goodness of our bodies and how God created us. Thomas Ryan is a priest and yoga instructor who deeply understand the connection between spirituality and the body. 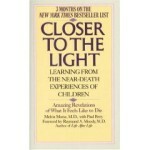 Closer to the Light: Learning from the Near-Death Experiences of Children – by Melvin Morse – After hearing about my deeply spiritual and rather surreal experience around the birth of my stillborn son, Matthew, my friend Jo-Anne recommended this book to me. It is a collection of amazing stories of children who have near death experiences, written by a doctor who was sceptical at first, but then couldn’t deny the astonishing similarities between them. If you’ve wondered about an after-life, this is a compelling and intriguing read. 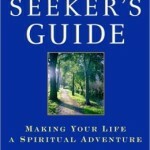 The Seeker’s Guide: Making your Life a Spiritual Adventure – by Elizabeth Lesser – A book that affirms and encourages our spiritual quest, in whatever direction it takes us. 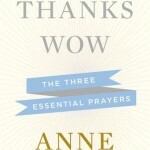 Help Thanks Wow – by Anne Lamott – A simple (and beautiful) little book about the three kinds of prayer. 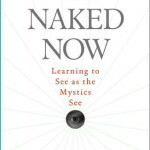 The Naked Now; Learning to See as the Mystics See – by Richard Rohr – This book opened my heart and shifted my spiritual journey. I love what he teaches about the limitations of “dualistic thinking”. 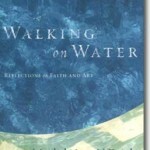 Walking on Water: Reflections on Faith and Art – by Madeleine L’Engle – Simple, profound words from one of the most beautiful writers ever. Learning to Walk in the Dark, by Barbara Brown Taylor – I love reading every new book that Barbara Brown Taylor writes because her spiritual quest is so similar to mine and she explores many of the same questions I explore. In this one, she invites us to consider the lessons and the beauty we’ve been missing when we focus only on the light. The Way of the Labyrinth: A Powerful Meditation for Everyday Life, by Helen Curry – If you’re looking for a great resource on labyrinths and what they mean and how you can use them, this is a great book. Though I didn’t read it cover to cover, I refer to it often when I teach about labyrinths in my workshops. 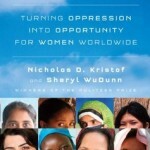 Half the Sky: Turning Oppression into Opportunity for Women Worldwide – by Nicholas Kristof and Sheryl WuDunn – I remember reading this book on the sidelines of my daughter’s soccer practice and another mother turned her nose up and asked “Why would someone read something so depressing?” It’s true, this is not an easy read. It tells the brutal truth about the violence and injustice done to women all over the world. But it doesn’t end there – it offers hope too. The authors have seen all kinds of brutality, but they have also seen hope and justice. They tell stories that will change you and make you want to make the world a better place. Some of the stories still ring in my ear, urging me to commit my energy to serving women all over the world. 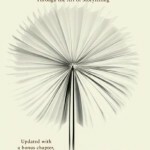 Everything Must Change: When the World’s Biggest Problems and Jesus’ Good News Collide , by Brian McLaren – On those days when you’re faith is wobbly because you see too much damage being done to God’s beloved planet and people – often in the name of faith – this is the kind of book that will give you hope. Brian McLaren talks about the tough stuff (the destructive direction we are heading with over-consumption, conflict, and the evils that are being done to our planet), but then he offers a message of hope and transformation. I’ve met Brian McLaren several times and even had the chance to interview him in my day job. 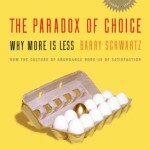 The Paradox of Choice: Why More Is Less – by Barry Schwartz – This is one of those books that often comes up in conversations for me. It has changed the way I communicate, the way I face major decisions, and the way I look at marketing. Schwartz believes that we are often paralyzed by the over-abundance of choices in modern society (think about the last time you had to choose a breakfast cereal from the 75 choices on the wall). For greater contentment, he suggests, we need a balance – just enough options, but not too many. 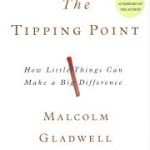 The Tipping Point: How Little Things Can Make a Big Difference – by Malcolm Gladwell – I’ve read several of Gladwell’s books, but this is still the one that sticks in my mind the most. It’s an interesting exploration of how trends emerge and how things go from just someone’s good idea to spreading like wildfire. 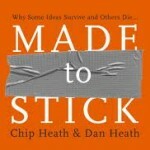 Made to Stick: Why Some Ideas Survive and Others Die – by Chip and Dan Heath – I first learned about this book when I attended a workshop put on by Chip Heath (they’re brothers) at a fundraising conference in Dallas. If you ever have a chance to see their presentation, I’d recommend it. These guys know how to make messages stick! I remember more of their presentation than most of the hoardes of presentations I’ve seen over the years. The book is equally memorable. They explore why so many urban legends stick in our mind when so much more useful information disappears. 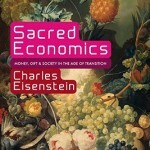 Sacred Economics: Money, Gift, and Society in the Age of Transition – by Charles Eisenstein – This is a fat book, but I devoured every page. It was revolutionary for me and I wish that everybody would read it and it would change the way we function in the world. It certainly changed the way I do business. It traces the history of money from ancient gift economies to modern capitalism, revealing how the money system has contributed to alienation, competition, and scarcity, destroyed community, and necessitated endless growth. 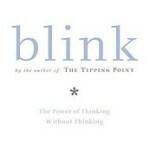 Blink; the Power of Thinking without Thinking – by Malcolm Gladwell – A fascinating look at our gut reactions and first impressions and why we should trust them. David & Goliath: Underdogs, Misfits, and the Art of Battling Giants, by Malcolm Gladwell – I love the way Malcolm Gladwell views the world, so I read everything he writes. While this isn’t the most memorable of his books, it’s still really good. He’s a great storyteller and in this book he takes a fascinating look at how it’s often the last person we expect to see succeed who surprises us all with their greatness. 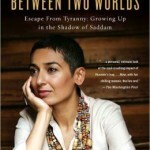 Between Two Worlds: Escape from Tyranny: Growing Up in the Shadow of Saddam – by Zainab Salbi – I first learned about the author of this book when I read Half the Sky. Zainab Salbi is now the founder and president of Women for Women International, but once she was a little girl growing up in the shadow of Saddam Hussein. If you want to understand the power an oppressor like Hussein can have on the people around them, read this book. It is profound, terrifying, and liberating all at the same time. 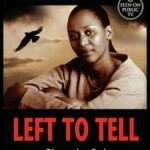 Left to Tell: Discovering God Amidst the Rwandan Holocaust – by Immaculee Ilibagiza – This is a stunning personal account of surviving the Rawandan genocide and emerging with remarkable faith and the ability to forgive. It will inspire you to dig deeper into your own personal strength to find ways that you can serve the cause of justice. 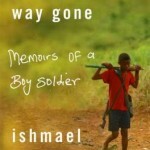 A Long Way Gone: Memoirs of a Boy Soldier – by Ishmael Beah – This personal account of growing up with the horrors of war and surviving the brutality and manipulation of being forced to serve as a boy soldier will shock and inspire you all at once. 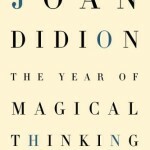 The Year of Magical Thinking, by Joan Didion – On loss and learning to live again. 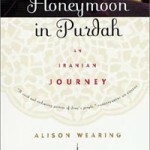 Honeymoon in Purdah: An Iranian Journey – by Alison Wearing – I LOVE this book about traveling in Iran and learning to love and trust people who are different from us. Alison Wearing has a beautiful capacity for opening her own heart and her readers’ hearts. 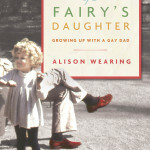 Confessions of a Fairy’s Daughter: Growing up with a Gay Dad – by Alison Wearing – A beautiful book about the author’s experience of having a father come out of the closet when she was a teenager. 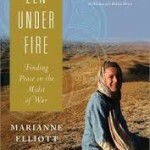 Zen under Fire: How I found Peace in the Midst of War – by Marianne Elliott – A beautifully nuanced book about the challenges of wanting to do good in a complex and dangerous place. 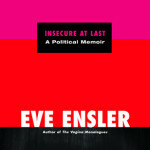 Insecure at Last: A Political Memoir – by Eve Ensler – As always, Eve Ensler is deeply personal, courageously raw, and boldly honest. Deep Water Passage: A Spiritual Journey at Midlife, by Ann Linnea – I’ve wanted to read this book for a long, long time, but there was always something that held me back. I think it was the deep knowing that the book would ask something of me I wasn’t sure I was ready for. I was right. It asked me to go even deeper in my own spiritual quest and to be even more truthful with myself than I’d ever been before. In the book, Ann shares the story of her kayak journey around Lake Superior. By the end of the book, I knew that some day I will need to go on a long solo quest of my own. The Return of the Feminine and the World Soul – by Llewellyn Vaughan-Lee – I was slightly hesitant to read a book on the feminine written by a man, but I had no need to worry. The author of this book shows a depth of understanding and a deep appreciation for the feminine and the mysteries and delight that lie there-in. He strongly believes that “the world needs the presence of women who are awake to their spiritual light, and who can work with the substance of life in order to heal and transform it.” If, like me, you dream about how feminine wisdom can change the world, I highly recommend this book. Urgent Message from Mother: Gather the Women, Save the World – by Jean Shinoda Bolen – I believe that the author of this book is a modern day prophet. She speaks with clarity and depth about the urgent need for more feminine wisdom in our world. She believes (as I do), that if women do not rise up and serve the earth, we will do irreparable damage in more ways than one. She calls all women to step forward and start saving trees, jobs, lives, and the status quo. Her message is critical for these times. 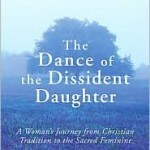 The Dance of the Dissident Daughter: A Woman’s Journey from Christian Tradition to the Sacred Feminine – by Sue Monk Kidd – This is a fascinating memoir of Sue Monk Kidd’s personal journey away from traditional patriarchal Christianity toward the feminine divine. It opened my eyes to some of the longings in my own heart, to find a new way of approaching the divine in a way that fit with who I was as a woman. Chasing Sophia: Reclaiming the Lost Wisdom of Jesus – by Lillian Calles Barger – This is one of the first books I read when I began my search for Sophia. It helps us understand the wisdom of Jesus in a fresh and feminine way, releasing us from some of the baggage of a patriarchal perspective. 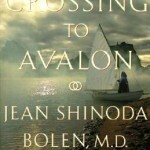 Crossing to Avalon: A Woman’s Midlife Quest for the Sacred Feminine – by Jean Shinoda Bolen – This is another memoir that tells the story of a woman’s quest to connect with the feminine divine. Bolen traveled to some of the historic places in Europe where the feminine divine has been honoured throughout history. Although each woman must take her own journey, it is refreshing and inspirational to read about what other women learned and wrestled with in their quests. 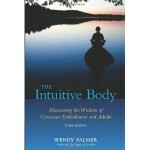 The Intuitive Body: Discovering the Wisdom of Conscious Embodiment and Aikido – by Wendy Palmer – In this book, Wendy Palmer, who’s been exploring the principles of aikido and mindfulness for thirty-five years, presents a model of conscious embodiment that intrigues and delights me. I had the pleasure of attending a couple of brief aikido sessions with Wendy at a conference in 2010 and I was inspired by her wisdom. 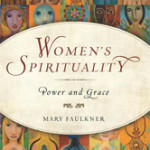 Women’s Spirituality: Power and Grace – by Mary Faulkner – The most important thing I will take from this book is an understanding of the way the masculine mind approaches spirituality as a ladder/hierarchy, and the feminine mind approaches spirituality as a spiral. 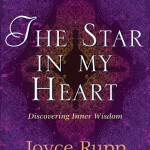 The Star in My Heart: Discovering Inner Wisdom – by Joyce Rupp – Though raised in a traditional Protestant home, I have long searched for a way of approaching the divine that feels more connected to who I am as a woman. 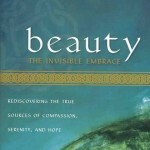 This book offers an alternative in the concept of Sophia – the feminine wisdom of God/Goddess. Sophia emerges as a comforting presence in the process of examining our old beliefs, left-over hurts, self-acceptance, and connections with the earth. 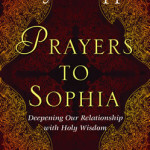 Prayers to Sophia: Deepening Our Relationship With Holy Wisdom – by Joyce Rupp – This book is a companion to the above book, The Star in My Heart. In it, Rupp invites readers to experience the healing images of Sophia through prayers from her personal journal, accompanied by journaling suggestions for reflection. It’s a beautiful book to have close to your bed, for the gentle times between sleep and wakefulness. 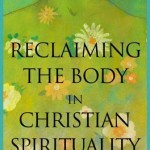 At the Root of This Longing: Reconciling a Spiritual Hunger and a Feminist Thirst, by Carol Lee Flinders – When a friend recommended this book, my first thought was “Why did I not know this book exists? 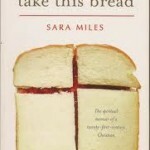 And why didn’t I find it a dozen years ago?” Like the author, I have often felt some tension between my feminist mind and my spiritual heart, but this book invites the dance between the two that is beautiful and so very necessary. The Shadow King: The Invisible Force That Holds Women Back, by Sidra Stone – Some books find their way into my brain and then the things I learned from them keep showing up again and again when I’m teaching and writing. This is one of those books. It talks about how we are held back by the Inner Patriarch even when we think we are liberated, conscious women. She: A Celebration of Greatness in Every Woman, by Mary Anne Radmacher and Liz Kalloch – This is the most aesthetically beautiful book I purchased this year, but it’s far more than just that. It’s a rich tapestry of women’s stories, woven together with beauty and care. 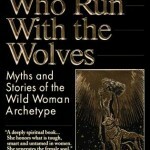 The Heroine’s Journey: Women’s Quest for Wholeness, by Maureen Murdock – Though I love Joseph Campbell’s teachings on the Hero’s Journey, I’d always known that it didn’t entirely connect with my own journey as a woman. This book does a beautiful job of exploring the journey that women must go through in order to fully understand and celebrate themselves.